I have learned many things. The biggest being that there’s no knock sensor, the wiring and the ICM is there but there’s a grub-screw in the block where the sensor should be. I guess they forgot to put that in the re-man’d engine. The harness has also been spliced 11 billiontly times, some in very abstract ways. 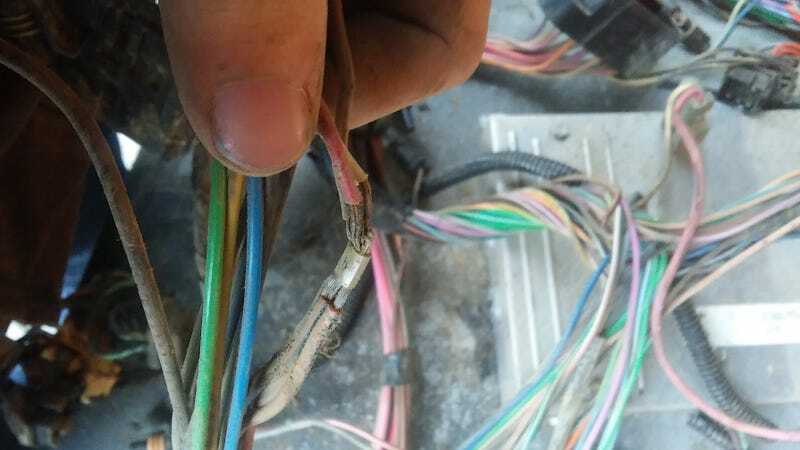 Like a 16 gauge wire with a 10 gauge spliced into it, WUT.